Use it or lose it. Few products in the world have a shorter shelf life than electricity. That’s why pretty much everyone involved in the power sector — from utilities to buyers to startups to state regulators — is putting more energy than ever behind ways to extend it. That’s fueling a boom in projects and investments centered on advanced battery chemistries and alternative energy storage approaches, such as hydrogen fuel cells and thermal options that use hot water or ice to conserve power. The holy grail over time is to create a network of resources that can be used in concert with solar and wind farms. The idea is to balance those intermittent renewable resources, help their production output become more predictable and make it easier to integrate distributed power plants into the grid. But energy storage also promises tangible benefits in the short term, especially for demand-response applications that help utilities and businesses manage through “peak” periods when the strain on the electric grid could threaten reliable operations. You don’t have to be a clean power advocate to appreciate the return on investment. Even Department of Energy Secretary Rick Perry is talking up the potential (PDF). And an astonishing mix of equipment providers are introducing systems, even big diesel and gas generator companies such as Caterpillar and military contractors such as Lockheed Martin. You don’t have to be a clean power advocate to appreciate the return on investment. By the end of 2017, at least 1,700 installations were in progress, an increase of more than 300 in just six months. Some are utility-scale endeavors, such as the 30-megawatt plant built by San Diego Gas & Electric that was billed as the world’s largest lithium-ion battery farm — until Elon Musk’s Tesla managed to steal its thunder in late 2017 with a 100-MW project meant to supplement wind power on the Australian grid. A more modest example is the Glacier Battery Storage project in Washington state, a 2 megawatt system backing up one of Puget Sound Energy’s substations. Other projects have a commercial bent and are meant to support industrial facilities or offices. An example is the approach Hawaiian Electric Co. is using with fleet storage devices from Stem, a company that pairs artificial intelligence with energy storage, at Albertsons and Whole Foods grocery stores. In the United States, which will account for roughly a quarter of the industry’s growth over the next 13 years, state-level incentives became far more common in 2017 in the absence of limited and waning financial support at the federal level. A handful of states have passed installation targets, and more than 20 states have at least 20 megawatts of activity in their pipelines, with or without official regulations in place. California’s program is the oldest, adopted in 2010. It originally mandated the installation of 1.3 gigawatts by 2020, but regulators in 2016 tacked on a requirement for an additional 500 MWs in behind-the-meter storage capacity. There’s also an appreciable amount of activity happening in the Northeast, where outages tied to extreme weather events are more frequent and where many legacy coal and nuclear power plants are reaching the end of their life or facing an uncertain recertification. Massachusetts has mandated enough storage to provide at least 200 megawatt-hours of energy. New York is still finalizing its targets hours to support its burgeoning wind power industry, but it’s also vying to become a manufacturing force with the state’s first lithium-ion “gigafactory” set to come online by late 2019. 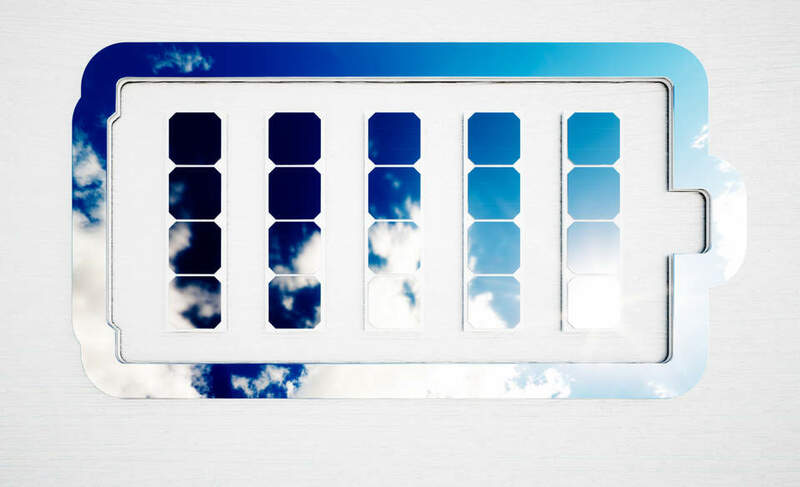 Right now, many people tend to equate energy storage with advances in batteries. Right now, many people tend to equate energy storage with advances in batteries. The batterysupporting Tesla’s forthcoming semi-truck, as just one example, will deliver more range at a lower cost than anyone predicted. Millions of dollars are being thrown at startups — $480 million in the first half of 2016 went to companies researching lithium advances, zinc-air innovations and flow science using various electrochemical combinations. The systems they’re testing are meant for both electric vehicles and stationary systems that support buildings or community distribution systems. The Pena Station microgrid in Denver, for example, uses a 1-megawatt system to support the solar resources. An analysis by Lux Research suggests that lithium-ion will be most cost-effective for applications requiring from 75 kilowatts to 100 megawatts of capacity, with backup ranges of 15 minutes to eight hours. The capital costs for the technology could fall as much as 36 percent over the next five years, more quickly than expected, according to research by investment firm Lazard. McKinsey has estimated that costs for stationary applications could reach $200 per kilowatt-hour in 2020 (half the price in 2015), and reach $160/kWh by 2025. But other approaches are worth watching, some of which have been around for years. One of the biggest differentiators among these technologies is how quickly they can collect and release power. Capacitors or flywheels, for example, might make sense for applications that require access to electricity quickly in the absence of another fuel source. The former is commonly used to support hybrid buses (to help them start more quickly after braking or idling) and wind turbines (where they are used for blade adjustments). The latter transforms power into kinetic energy (a la regenerative braking), releasing it back to the grid when there are hiccups by changing the speed of the rotation. For a grid-level boost, some utilities have relied on pumped storage using multi-level reservoirs of water and principles of hydroelectricity for literally decades. When demand for power is low, water is pumped up into a holding facility; when usage peaks, the water can be released through turbines to peak the production. One of the world’s largest installations is owned by Dominion Energy in Virginia: It can generate up to 3,000 megawatts as the water is released through six generators. When it comes to commercial installations, keep your eyes on thermal storage technologies, which help reduce the energy required to heat or cool buildings. One leader in this space is CALMAC, which uses ice tanks to take pressure off the electricity needed to run heating, ventilation and air-conditioning equipment. The company, which has sold its systems to more than 4,000 companies including Goldman Sachs, Google, Walmart and McDonald’s, was acquired by HVAC giant Ingersoll Rand in late 2016. And don’t forget the potential capacity of electric vehicle batteries. High-profile automakers including Tesla and Mercedes-Benz are working on vehicle-to-grid pilots, and many utilities believe that grid-connected EVs could become a powerful source of electricity during peak hours in cities. Some, such as Italy’s Enel, are experimenting with charging networks and energy management software to enable that application. Little wonder that demand for lithium-ion batteries for EVs and stationary energy storage uses could outstrip sales for consumer electronics supplies by the end of this year. The next challenge could be building batteries fast enough to keep up with demand.